The Tour AD UT Hybrid series is designed to help provide a higher trajectory for maximum distance and control with a low kick shaft design. Utilizing proprietary composite materials the TourAD UT hybrid shaft produces exceptional feel from take away through impact delivering great responsiveness. Available in various weights and flex. The UT-65 shaft is a low-kick point, low-torque shaft designed for better players with low to medium swing speeds. Its perfect combination of GDI’s proprietary Ultra-High Modulus material and other quality composites helps the player to maximize distance and overall improved accuracy. The Tour AD UT 85 & 95 Hybrid shafts is designed for higher swing speed players seeking more control. Consistent with the UT characteristics, this shaft produces exceptional feel and consistency providing players of all skill levels optimum launch and exceptional distance control. 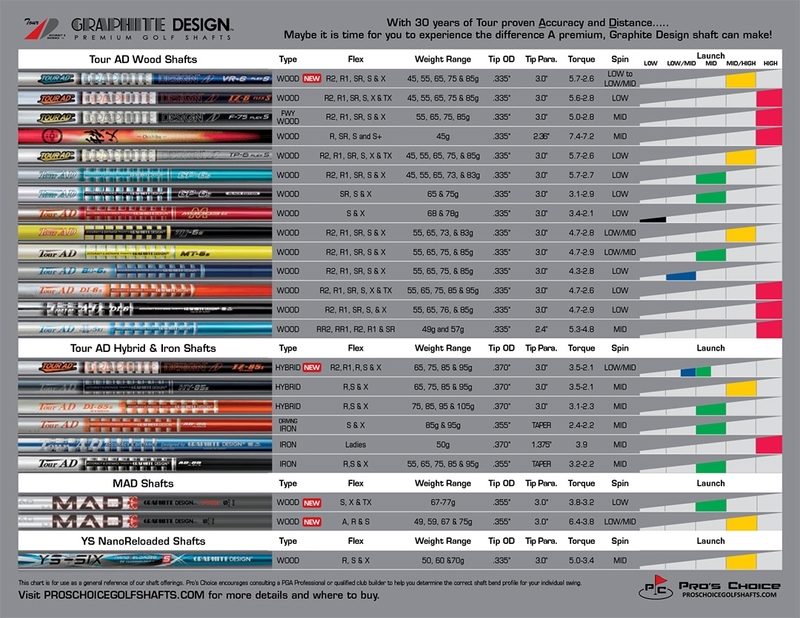 These shafts are perfect for players with mid-fast tempos. Designed to be very versatile with multiple weights and flexes available to promote Mid to Mid/High launch angles with Mid ball spin rates.